my shiny objects: First 2011 giveaway for blog followers ONLY! Welcome 2011! With the new year here, I want to thank my loyal blog readers with a fabulous giveaway. The Nolan Necklace is one of my most popular designs, so I know that one of my readers will enjoy it too! It comes with a tad bit of work though, see below! Up for grabs... The Nolan Necklace! *Winner will be chosen using random.org. Giveaway ends next Monday January 10th at midnight. 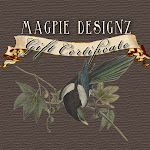 This is a giveaway to show my appreciation for my lovely blog readers. So THANK YOU to my current readers and WELCOME to my new readers! Following my blog DOES come with perks! I love the Jacob necklace. Following you on Twitter (TwoKazoos). I love the Mama's Nest necklace, and so did my sister-in-law, whose Christmas present it was! I really love all of your work, but I really do love the Nolan necklace! It is simple, shiny and beautiful! Hi Emily! I love the Nolan necklace. Lol! I just bought the violet one for my sister who loved it! Thank you for making Christmas great! I shared your giveaway on facebook and I tell everyone about your site! I like the nolan necklace and i really love everything you do. Really I like them all. Do I have to pick a favorite? OK...Tenley. I like small and simple. i loved the "blessed mother" necklace since i was the first one you made it for and gave the idea to add the heart. i get so many compliments on it! love all your designs but I think Lily may be my favorite!! but it's really hard to narrow down a fav- they are all so unique and special! I also looked at your website...my favorite Tree Carving necklace!!! I love the Grant necklace and the Nolan necklace. They are all beautiful! I LOVE them all, but one of my favorites is the felicity necklace! I've always loved the Mama's Nest necklace! I have admired your jewelry for a while. I always liked the Logan necklace. I received a Lily necklace for Christmas that I've worn every day since! My other favorite is the Maisey Necklace. I've been following you on facebook for a while now, somehow I didn't realize you had a blog! But I've really enjoyed reading it this afternoon. I first found you on Etsy. I've ordered the Jaden and Alicia necklaces. Love them both! Next on my list to order is the Faith necklace. We just have to decide on name for our third baby first! So many to choose from! I definitely love the Pierce (wearing it right now) :) Thanks Emily. I think the Molly necklace is my personal favorite - but it is so hard to pick just one! My favorite is the Calvin necklace. I lOVE it! The Nolan necklace is the first I've seen of your work and it's adorable! I also like the logan necklace, the bronze look is really nice. I like the Nolan Necklace as well as the Logan Necklace! i love the bracelet that is copper with the heart on it!!!! Your Olivia necklace is my favorite...it's what I'm wearing right now! You do lovely work! I really like your "Brooke Necklace". If you need to get a hold of me if I would happen to win you can email me at nicole@riegner.net. Thank you! Love the Juliet necklace! I'm a facebook fan, and shared on facebook.